You can read my story “Something Has Happened” and find out! 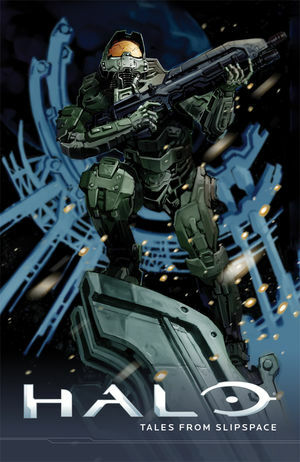 It’s the leadoff piece in this terrific new anthology called Halo: Tales from Slipspace. I got my copies yesterday and read the whole thing last night. The stories are cool, and the extra art in the back of the book is excellent added eye candy. Check it out at your LCS!